You know what? 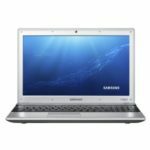 BestBuy now has the Samsung NP300E5C-A0CUS 15.6-Inch Laptop w/ Intel Pentium B950 CPU, 4GB DDR3, DVD±RW, 500GB HDD, Windows 8 64-bit for only $349.99 + free shipping. This is one of the hottest deals at Best Buy, it's definitely a great deal. 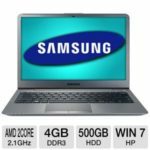 Price is pretty charming now, and the laptop is good enough. You don't get it? Right, see bellow. 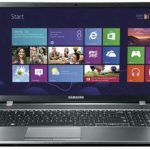 The Samsung NP300E5C-A0CUS laptop is equipped with a 2.1GHz Intel® Pentium® processor B950, 4GB DDR3 RAM, 500GB SATA of storage, and DVD±RW/CD-RW drive. 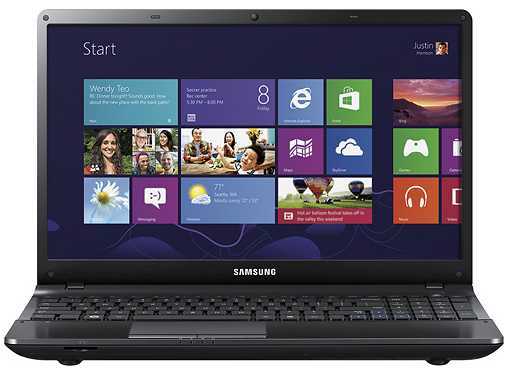 It is running on Windows 8 64-bit operating system. 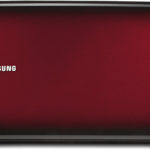 It is capable of handling your daily tasks, without any problem, actually, is beyond your need. You'll have a lot fun with it. 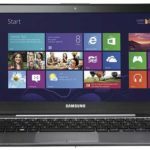 If you want to purchase a quality, affordable Windows 8 laptop, I have every reason to say this Samsung laptop is your choice now. What do you say?